Pimsleur is almost entirely an audio-based learning experience, with a handful of short reading lessons to accompany the main part of the course. Developed by Paul Pimsleur, this language learning course is based on four central ideas: anticipation, graduated interval recall, organic learning and core vocabulary. 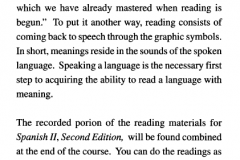 It might be primarily an audio course, but there is a lot of fascinating language science here to get engaged with. There are three Levels to the main language courses, with each Level containing thirty 30-minute lessons. These lessons are presented in a way that you may not have ever come across, with some solid scientific backing behind the core principles of learning. You are advised, for the optimum absorption of the information, to take one of these 30-minute lessons a day. This is certainly something to be aware of if you have a family, work, or other commitments, as this might not seem like too long to give to something every day, but the actual practicality of setting this time aside just might not be possible for you. Still, if you do find yourself struggling a little bit, don’t give up on this course. It is one of the best courses to take for foreign languages, and even if you find that you don’t have as much time to give to it as you would like, it is still worth taking your time and not getting disheartened. 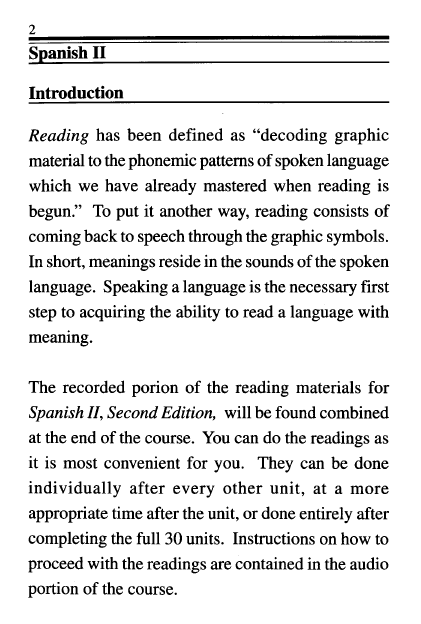 This is primarily an audio-aided method of study, though there is also a textbook for short reading lessons. It seems as though this is included so that the designers of this course to be able to say that this course has a focus on writing as well, which not many do. Still, regardless of the reason for its inclusion, it is quite nice to feel as though you are attempting to use the full set of skills within learning a language, and it is true that not many foreign language courses even attempt to work on the ability of writing a language as well as understanding it. This program is in the lower-middle price bracket, but then that’s pretty much what you would expect for what is, after all, an audio-based course. And yes, it would be easy to argue that because this is just an audio-based course that it isn’t worth this amount, but that is certainly not the case. What you are paying for here are some clever, scientifically sound ways of helping your mind to learn something new. It isn’t necessarily the content that you’re paying for; it’s the way that this content is being delivered to you. Of course, you could risk buying a less well-known brand, or sticking with however it was that you learned in school, with language labs and the phrase-repetition method of learning, but if these methods haven’t worked for you so far, then they probably won’t work for you now. It’s easy to stagnate when it comes to languages, and if you think you might need a fresh approach to the way you have been learning, then this is certainly a good bargain for what you get. Another point to reconsider is that of how much of the language you feel you’ve come away with. The value of a language learning course surely has to include some mention of how much language you will actually learn, and here unfortunately is where the program lets itself down a little bit. While you probably won’t have much difficulty in getting to grips with the methodology employed in this program, you might be disappointed at how much you actually have learned. Make no mistake, the things that you do learn will be learned very well, but the range is not particularly wide for the topics discussed, and at the end of the course you will feel as if you’ve barely scratched the surface of the language. Still, if you’re looking for a course that isn’t phenomenally expensive but still gives you the taste of a language, excellently presented in a way that you can really get to grips with, then this is still the course for you. This course is a great way to begin learning a language, with extra emphasis on the word “begin.” The methods used are probably going to help you learn in ways that you have never learned before. The real focus here is on how to begin immersing yourself in the language and doesn’t necessarily take you deeper into the culture or the language. Unfortunately, this means that you will probably still be at beginner level by the end of the course. Due to the primarily audio nature of this course, it is also not particularly suitable for children. While this course doesn’t just target the tourist, and there is clearly a lot more to be discovered here, it is not for someone looking to become fluent in a language by the end of the course. On the other hand, this is not something that is ever advertised by the makers, and if you’re looking for a program to inspire you with language and be learning-effective, then this is definitely a good one to go for. This is a nice complement to a conventional Spanish language course. It concentrates on listening and speaking. It all focus on the vocabulary and you will not observe any teaching or written exercises. Learning is obtained through interactive exercises which highlight sufficient random repetition to sustain you on track. It is a nice training for everyday conversation but I would not apply this as my sole method to learn the language. Fantastic language program, halfway into the course and I have a strange feeling of confidence when speaking about essential topics like conjugations, places, heat, time and date. I am planning to purchase the whole set and would suggest this to all who are searching for a quick paced immersion package which would only require 30 minutes of your time daily. Because you wont learn how to read or write I only give it 4 stars! Pimsleur is very much appreciated by many users since it is really effective. Personally, in order for me to understand Spanish better, I apply the following techniques: use the Pimsleur CD, study grammar and converse with native Spanish speakers or any type of immersion that you can think of. Pimsleur is efficient since it tests your memory, applying a method called graduated recall. If you are able to play the CDs while you are travelling, then you will have a good chance at becoming excellent in the language. My own approach of studying compels me to understand the grammar aside from what I am heeding, so I bought Barron’s Spanish the Easy Way. I also have a number of grammar texts that I bought on Amazon after seeing the reviews. A tool that I really suggest for you to purchase is the electronic Spanish dictionary, which is truly essential. After you have acquired one, you will seldom use the hardcover edition. I bring this in my pocket at all times and find myself using it frequently. You can Google this to find one that is suitable for your needs. 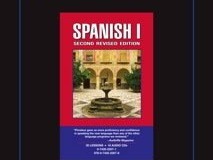 I am almost done with the Spanish 1 course and fortunately I love it and planning to pursue with the Spanish 2. 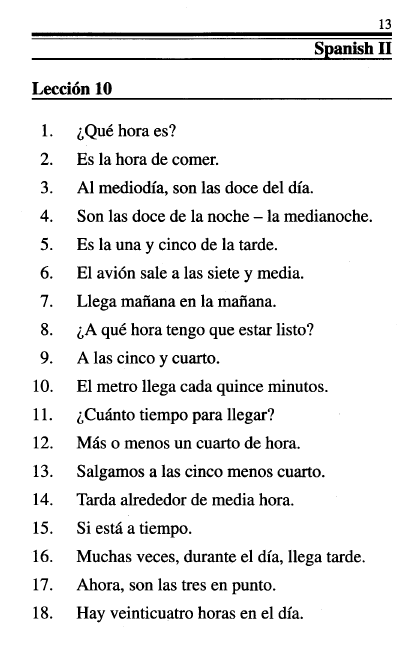 I have taken 4 years of high school Spanish during the late 60s, and the 1st course is more like a refresher to me. I listen to it while I’m stuck on the elliptical to help me accomplish 2 tasks at the same time. The only problem I find with this course is that it does not teach grammar, writing or reading. Since I already have a background in Spanish, I am able to imagine the words in my thoughts and also aware of how the words are spelled. 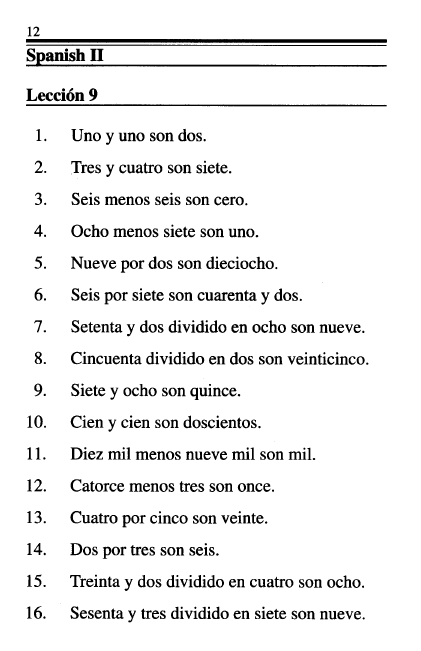 I can also recall how to conjugate the verbs. With no instruction for the vocabulary and grammar, this package is totally insufficient. Speaking the language is just a part of the whole learning process. 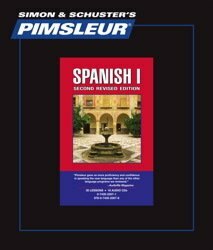 Very nice product, I have taken Spanish class during college and this is a fine method to brush up my skills, I am attempting to go through the entire Spanish products that Pimsleur has to offer. I am also planning to try the Rosetta Stone program after completing this. As a realtor this would be a great assistance to my career and a great investment as well. 3) I don’t like just hearing foreign words without knowing how to write it. I am really glad to tell that I do not need to pay a very expensive cost for this language program. My uncle recently started a language learning product shop and I’m trying some of the courses for Spanish beginners to assist him in which ones to suggest. Pimsleur absolutely has a ground-breaking approach. It will surely assist a beginner to progress eventually. But, one would be better off using the Michael Thomas beginners course which I see better than this language program and the price is much affordable. Most of the lessons have a moment wherein the speaker begins to instruct you in Spanish on whether what to say or ask. I find these exercises a total waste of time and it would be much better if they have been carried out in English. I would suggest that you purchase Pimsleur if it costs $50. Until it has not reached that price I would not say that you buy it. 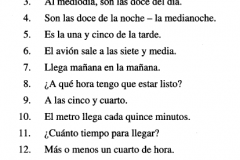 This is a good method for beginners who have almost zero Spanish knowledge. Personally, I find this package very elementary and ended up giving the Spanish counterpart for the oral English words as well as phrases prior to the lecturer on the CD could. In addition, this is a formal Castillian Spanish and not the same Spanish that is most spoken by those who are residing in US. I also did not heed the personal structure of “you” which is “tu”. I see that the subjects of conversations focuses mostly on asking for money and being particular about it, and this is a little offensive for me. I am about to complete the course and right now I can converse with people who can only speak Spanish and be able to mingle with them at a basic stage. I am able to discuss with them basic things such as eating, heading to the comfort room and others. It helps that I listen to it a lot and enjoy it so much. I would recommend this to those who are seeking for good quality language program as I also rely on other’s opinions and base my decision whenever I’m purchasing anything. It helps me to save more money and time. I did not make much progress with it but I really like the slow approach for TOTAL beginners to French and that it is completely audio-based. An completely audio-based course is a real advantage if you are commuting a lot like me…so you can learn all the hours you sit in your train/car French. The only problem with Pimsleur is that it won’t take you far in French (just for real Beginner) and it is really expensive if you buy it from Amazon. What I would recommend you is to get it from your library. I’ve used the course in combination with the Speed learning languages course that is more advanced. 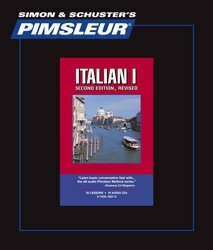 I think its a great combination to make 1 level of Pimsleur if you start with a language, because of the slow introduction and afterwards you proceed with the Speed learning languages course. This course is a disaster. For half an hour they keep repeating the same sentence once and again. After that, you think it’s over, and then you start the following lesson, and it is the same sentence again…. After all, you’re only able to say a few sentences that you have learnt by memorization, and of course, you are not able to comunicate at all. I completely agree with the summary and pro & contra sections, but I can’t understand why then it has got the second position in the ranking. I tried Pimsleurs Arabic and the one pro is that the words and phrases are understandable with each word broken down by syllable but the software in my opinion has many weaknesses. 1. No guide book or even a written transcipt. It helps me a lot to see the word transliterated and next to the orginial arabic. In fact because there is a lot of repetition this would be a good way to learn arabic script. 2. No grammer, for me simple grammer often provides learning short cuts such as Y(A)- goes before arabic verbs in the future tense. If you want to learn Spanish and like the Pimsleur method I would try Synergy Spanish due to the lower price. I love Pimsleur to start learning a new language. No method I’ve tried will get you up to speed as quickly. Period! Listening is a crucial part of learning a new language and they do a great job developing your aural skills and your pronunciation. And Pimsleur definitely teaches grammer, not in a text book manner, but you will definitely develop an understanding of the language’s grammar. And with their new prices (starting around $100 for digital — check iTunes!) it’s a no brainer imo. I like it. At the end of the course you won’t be an expert but it’s a good start into a new language. 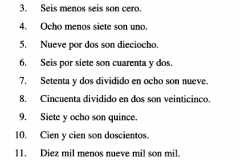 I used this for my beginning Portugues. I liked it. What I did not like however was the lack of completeness. There is some grammar but without spelling, it’s hard to tell how what is being said is actually pronounced. It also lacks conjugations which are central to learning most latin languages. Many whose idioms are based on the latin languages truncate words through the conjugations. While this program touched on it, it did not take it far enough. Either way I went online and learned the conjugations myself. Next I went to Brasil and was able to survive a week without embarrassing myself too badly. I could function effectively but I had to do a lot of extra study not found in this product. 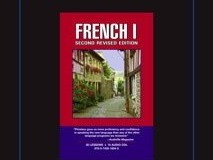 I think this course is okay for learning phrases but it will not make you fluent in French as it claims. I studied all 3 volumes and could mutter standard phrases but I still could not understand a French Movie or listen to French news cast. This course should not be listed at number 2 and is not for serious language learners. 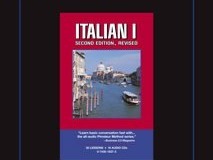 I began with Italian, a language which I had absolutely no grounding in, and found Pimsleur to be tremendously effective. I did all 90 lessons (Levels I, II, and III), spent a few months practicing Italian conversation with a tutor, and then went to Florence and spoke with as much joy and confidence as any foreigner could reasonably hope for. I went on next to French and German, both of which I had studied before without much luck, and did even better. Suddenly, I was able to apply all of the grammar and vocabulary that I had accumulated in high school and college. OK, Russian is a hard language – really hard. Nevertheless, when I was immersed in it through Pimsleur, I found myself in a situation in which I had to speak only in Russian with the grandfather of a student. I was able to discern that my student had gone to the hospital with her mother and grandmother, but that she was fine, and I should go home and call back in a few hours. I was astounded at how much I comprehended and was able to convey. By the way, the reading lessons really do work. Once you can pronounce the 100 or so Italian tongue-twisters they throw at you, “Forse un po’ del vino, per favore,” is a piece of cake. To anybody who sadly laments that he or she “just can’t learn another language” – and I used to be that guy – I would recommend Pimsleur, Pimsleur, and more Pimsleur. I have used quite a few of the Pimsleur courses: Mandarin, French, Korean, Russian, and half a dozen others. It is my favorite method for STARTING to learn a foreign language. This system is nice for getting a feel for a language and making sure your pronunciation is correct. The system will not take you to a very advanced level, combining Pimsleur I-III with Michel Thomas Basic and Advanced puts you at more or less a basic conversation level. However what you do learn will be deeply engrained in your memory and at the tip of your tongue. Since my primary motivation for foreign language study is conversation I really appreciate this aspect. Pimsleur IS mind numbingly boring but the results are worth it. Also it can be found free at quite a few public libraries. This course is way too expensive for what it offers. I have completed 3 levels and can barely understand native speakers. It is good if you can get level 1 for free from your library as it is as nice start into a new language but otherwise it is is just a waste of time and money. For beginners it’s excellent. It gets you to speak simple phrases quite quickly plus it is not only phrase memorization you actually learn to use in reaction to a question or a situation. However, this course only teaches you in speaking and listening (there is some reading but you don’t really get much out of it as it’s a tiny part of the course) and in the end of it you will not acquire a very high level as you don’t learn any general structure and apart from what you learn and you can figure out there is little more you can do. Also it is EXPENSIVE. Nonetheless, I do recommend it for complete beginners, especially if you’re approaching a very different language from your region (as Pimsleur dozens of languages) or if you’re not particularly interested in reading and writing (what I find essential though). for me is very hard to learn new language. I tried to learn Spanish on my own without help from a teacher or friend and it didn’t work. then I discovered pimsleur and it worked very well. I wont say that I speak Spanish now but what I learned is very good base for further more advanced learning. now I know about the structure of the language which is very helpful. I don’t know is it the best method but for self teaching there is probably no better one. don’t think its easy. for someone maybe but as a said I am slow language learner and had to listen to some of the lessons 4-5 times before I go to the next one. it took me not 1 but 3 months to finish the 30 day course but I am happy. Yes Pisleur is a good method for some specific languages. It is really recommanded if you don.t know at all the target language. 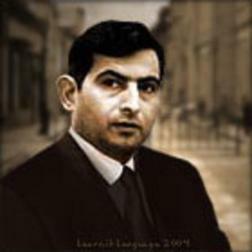 Pimsleur is usefull to catch the tons and variations (Romances languages, chinese, Japanese …). You enter slowly but surely and effectively in the language. You learn slowly how to pronunce words, how to make simple sentences : you learn the basics of the structure of a sentence. And that is the most important when you are a real full beginner. But you need to use another materials with writing text if you want to improve quickly your skills. A good program ruined by the app. Many reviewers are not fair because they mention not being about to see spells a word. One can do that at the end of every lesson. It is the way children learn. French is my 5th language, and it has gone very slowly. Maybe it’s just French? I have dedicated myself to following the Pimsleur method, but I am skeptical now. Some French speakers have said “amazing” that an American has picked up French so quickly. But is that because of the stereotype that Americans just don’t learn languages or that I am speaking pretty well? 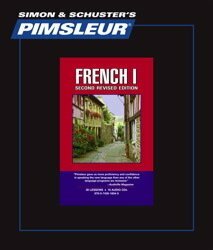 I would give Pimsleur French a higher rating except that the method is really downgraded by the very poor “course manager” app. One can see many as many as 10 lesson on the screen of one’s phone or computer, but the start/stop button is very small. Don’t drive and study! Did you want to hear something again or put on pause? The tiny buttons will put your life in danger by trying to find them and hope that they work. Even while working around the house, the tiny buttons make working with the language very difficult. Have I tried to give my opinion. Yes. “We’re working on it.” Still a year later, the same poor app is all that is offered. An IMPORTANT note on the cost of Pimsleur: this can often be entirely mitigated by checking out the Pimsleur CDs from your local library. This is what I did. I checked out all five levels of Spanish, then put them on my iPod and returned the CDs. This got me this fantastic product for free. Hooray for libraries! 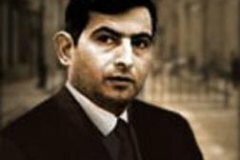 I never hear anyone mention this about Pimsleur, so I wanted to be sure to mention it. Check to see if your library also has the CDs for your target language (I also picked up French for review since I speak it, Chinese, and Russian). Essentially, I have combined the first two levels of Pimsleur Spanish with the whole Spanish tree on Duolingo (which is free), and a couple great Spanish books/workbooks (Easy Spanish Step-by-Step and Madrigal’s Magic Key to Spanish). This has taken me from knowing nothing but the basic tourist phrases in Spanish to an A2 on the European framework, and all in only three months. I am hoping that by going all the way through Pimsleur to level 5, and by going through several more advanced grammar workbooks, I can get up to a B2 level. But honestly, I think if you’re currently learning a language at a beginning-intermediate level, and you’ve found that you can read or answer Duolingo questions well, but don’t feel confident speaking, Pimsleur is definitely for you. Listen to it to and from work and it can really help your confidence in speaking. Michel Thomas Polish is awesome! Start with Pimsleur, then MT Polish Foundation Course. Joanna is a native Polish speaker, and will have you constructing your very own sentences in no time! Pimsleur Polish 1 is a great way to begin, with this complex language, I just wish it had more levels. I am on level 2 of German and it is really coming along, with 5 levels of German I can predict a decent elementary understanding.